Asus has kicked off Computex by announcing a collection of new Windows 10 products that are set to take on some of the hottest devices on the market. The new Zenbook 3 is a direct competitor to Apple's ultra-slim Macbook, while the Transformer 3 Pro is very clearly Asus' interpretation of Microsoft's Surface Pro 4. 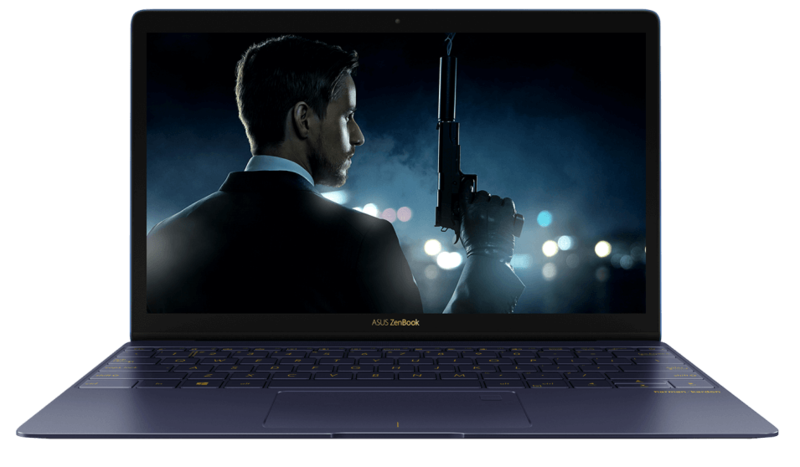 The Zenbook 3 in particular sounds like a very compelling notebook. It packs a 12.5-inch 1080p display into a body that's just 11.9mm thin and 910 grams heavy – slimmer and lighter than Apple's 12-inch MacBook – but it doesn't compromise on performance: this device is powered by a full 15W Intel 'Skylake' Core i5 or Core i7 CPU, not Core M.
Other specifications include a single USB Type-C port with USB 3.0, a 40 Wh battery, a touchpad that doubles as a fingerprint reader, and an attractive metal body. The base model features a Core i5 CPU, 4 GB of RAM and a 256 GB SSD for $999, but if you spend $1,499 you'll net yourself a Core i7, 16 GB of RAM and a 512 GB PCIe SSD. The highest-end $1,999 model bumps the PCIe SSD storage up to 1 TB. The Transformer 3 Pro doesn't just look like the Surface Pro 4: it also packs very similar hardware. There's a 12.6-inch 2880 x 1920 display on the front, Intel Core i5 or i7 CPUs and up to 16 GB of RAM on the inside, PCIe x4 SSDs that go all the way up to 1 TB, and other features like USB-C with Thunderbolt 3. The kickstand design is very similar to the Surface Pro 4, as is the keyboard cover, which is included in the Transformer 3 Pro's price tag that starts at $999. Asus hasn't mentioned exactly what hardware you get for $999, although you can assume you won't be getting a 1 TB SSD. There's also a little brother of this tablet called the Transformer 3, which brings the same display to a tablet more akin to Samsung's Galaxy TabPro S. Inside is an upcoming Intel 'Kaby Lake' CPU, up to 512 GB of SSD storage, and USB-C with Thunderbolt 3. There's no kickstand, but Asus still includes a keyboard with integrated stand in the Transformer 3's $799 starting price tag. Asus hasn't mentioned when any of these devices will become available, although like with most of the company's previous Computex launches, it may be many months before they hit the market.